A while back, I took the girls for their physicals and flu shots. Always a fun day on the parent calendar! In coaching our youngest, Emma, through her fear and panic over the shot, I was reminded of a sign I had received. It was during lunch on the day of our first webinar (almost three years ago! ), I headed out for a walk to clear my mind, and truth be told, to get toilet paper for the office. A girl can’t be in the office for hours on end with no TP. It spoke directly to me. In that place, I was feeling scared. Would anyone actually show up to this webinar? Would the people who came get anything out of our session? What will they ASK ME?!?!?! In hindsight, I’m certain I was really excited, but it sure felt scary that afternoon. It got me to thinking, what scares people? What scares YOU? I’m not talking about the everyday life things that scare me – like spiders, somehow screwing up my kids, or completely ruining dinner. So let’s narrow this down and talk business. 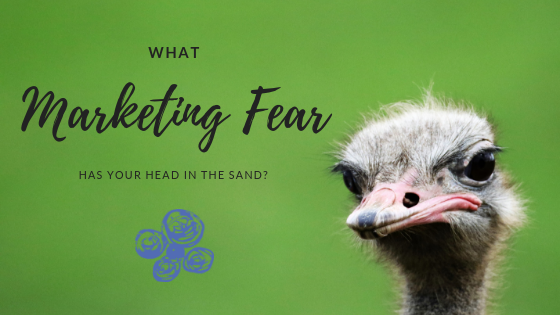 And more importantly…what is your biggest marketing fear? In running your business, what scares you to the point of playing ostrich? You know, sticking your head in the sand and hiding from it. As if it’s going to completely disappear if you can’t see it…and it can’t look you in the eyes. Well, maybe not social media itself. But all of the things about it that absolutely freak. people. out. Especially when it comes to your fear of marketing. Does being seen and playing in the online playground scare the daylights out of you? I get it. Our egos don’t like to be wrong, so we let them protect themselves. Prove themselves right. Even, sometimes, at the expense of our businesses. But we HAVE to stop the madness! These egos are great, and they’re great at their jobs, but seriously… sometimes we have to hit override and just take over! You need to dig deep and jump in. I’ve gotten over it. And I’m so passionate about getting over it and want you to get over it too! 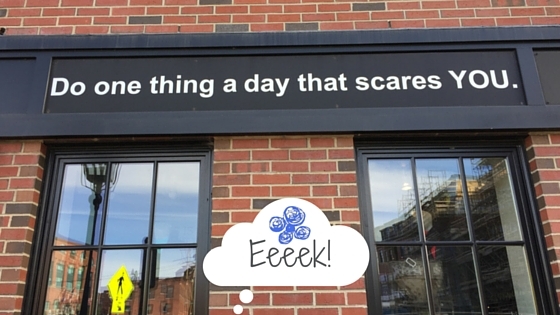 What is it really about social media that scares you? Comment below or even shoot me an email. We’ll totally help you get over it.